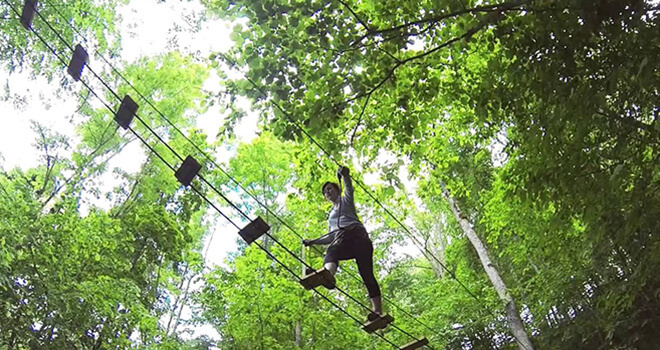 High ropes - that’s a fantastic adventure. You can do it with your friends and also with your family. It’s a great physical activity for everyone who wants to do something active, sportive. 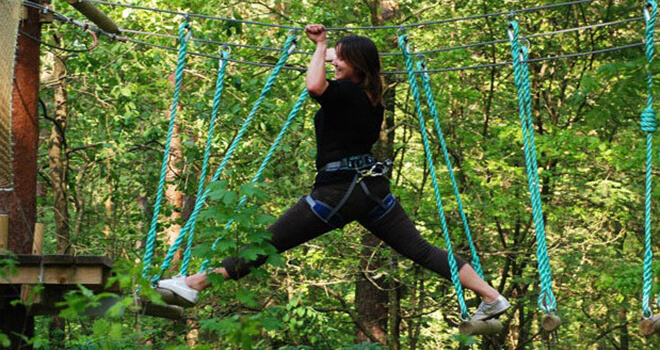 You will be picked up from your hotel and after 25 minutes you will at the high ropes adventure park. There are eight different tracks. 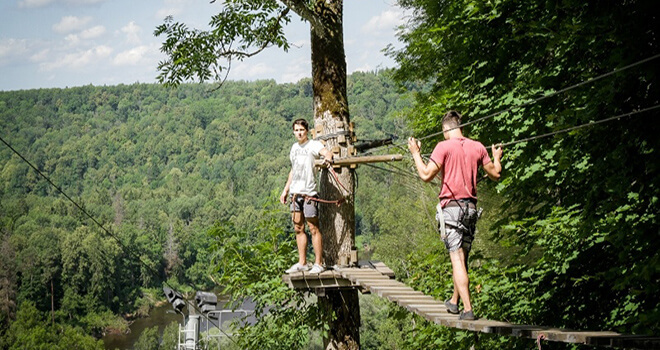 Every track starts from ground and ends with a zip line ride down a wire rope with a special pulley. 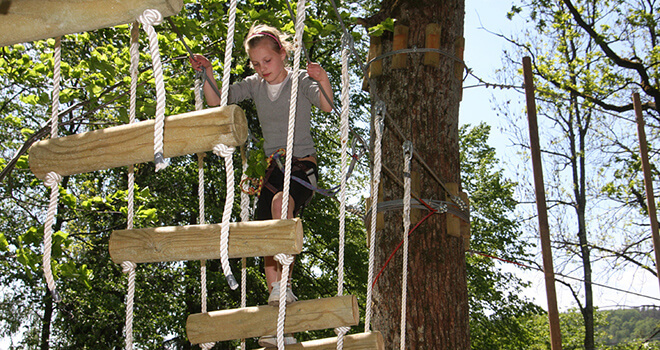 The high of obstacles can reach even 15 meters. There is special equipment for people safety. 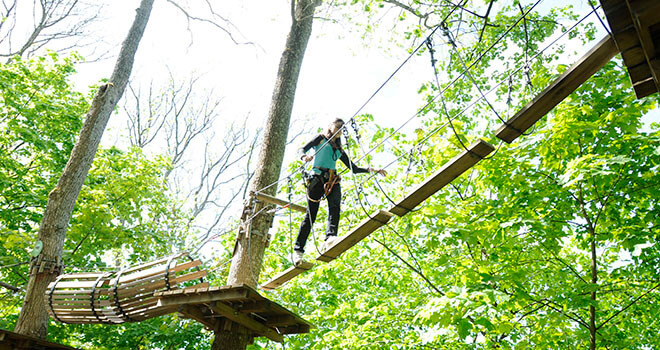 There are nets, ladders, swings and bridges so it absolutely won’t be boring. Also this is a great way how you can overcome your fear of heights. 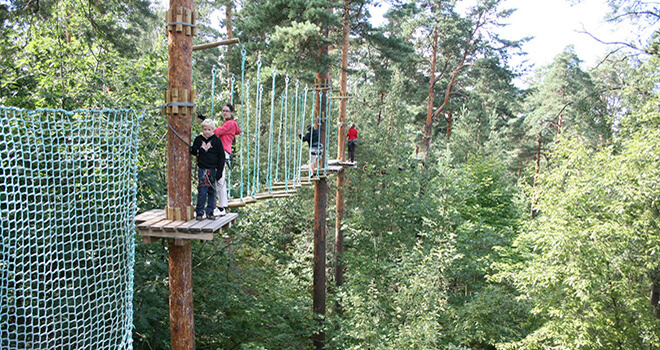 After activity we will take you back either to your hotel or old town of Riga.